OAR PSNT - Vocations: How do you live? We cant really complain! But there’s no lack of things to do, as God wants everyone to be happy. 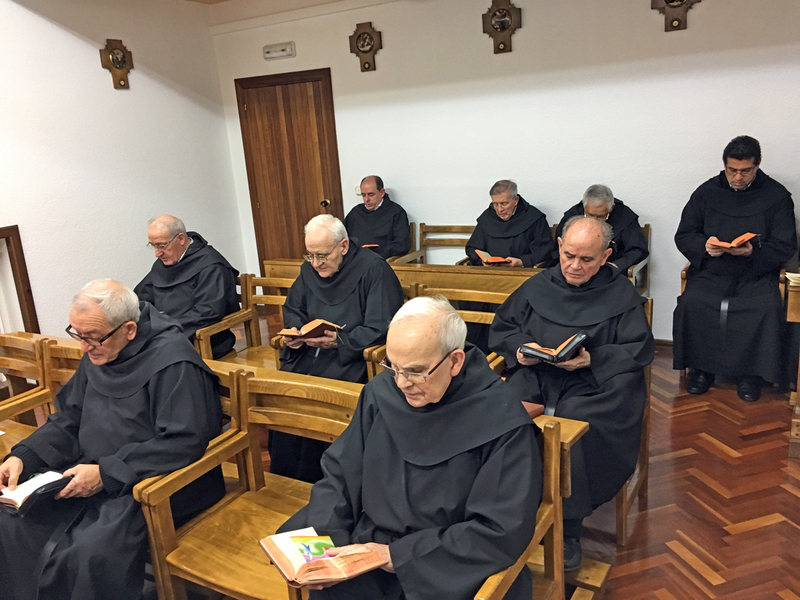 Any Augustinian Recollect will tell you that he “lives in community”. Nothing strange in that for anyone who knows religious Orders, many of which do the same. However, we live “in community” in the same way that St Augustine wanted to: the reality of living together, of having everything in common, allows our hearts to feel more united to God, so that we follow this way of life, and not other ones, for which we have total respect. These may be the loving relationship of a couple, spending one’s money freely, going wherever and whenever one wants, or working in a particular place or job. Our choice is different, neither better nor worse, but we like it the best, and feel called to it. Our way of life is simple, quite normal, and everyday. There are no differences in our houses; we are all equals, and we feel ourselves to be equal; in the houses there are no outsiders, nor private property which any other members of the community cannot share. Praying in common the Liturgy of the Hours and the celebration of the Eucharist give structure to our day. 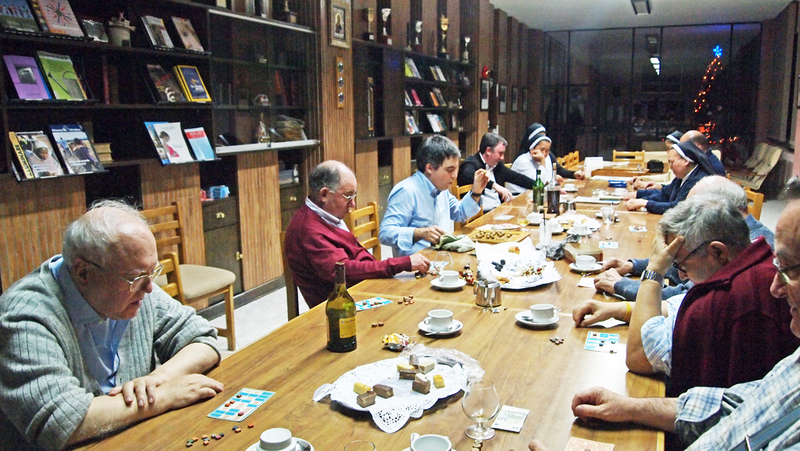 However many tasks and responsibilities we may have, we don’t go without sitting around the table for a chat after meals. Everyone shares in the various jobs entrusted to the community, according to the place and the duties each person has. It’s not all just praying, working, and enjoying each other’s company. We also dedicate part of our time to study, good sons of St Augustine as we are. It’s that knowing more enables us to serve better, gives us more freedom, and helps us to understand ourselves better as persons and to understand the world around us. 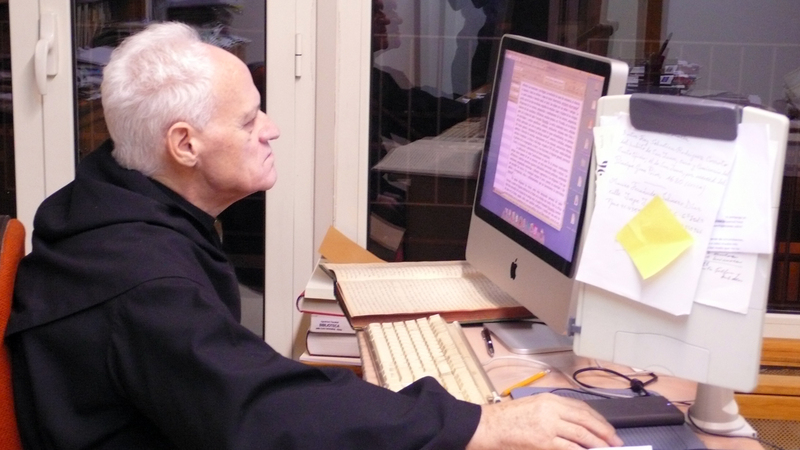 An Augustinian Recollect religious studying and doing research. All of us have the same purpose and we have left our homes for the same motive, and differences of age, character, ways of thinking, are lived in the same way as within a family. And those differences certainly exist! Nobody is denied the right to say what they think, but all of us feel the need for fraternal respect, as brothers who don’t necessarily think in the same way and whose ways of being are different. Nevertheless, we can’t deny that all of us do strive to take on board common values, with attitudes that help us to feel united and to really practice fraternity. We seek to ensure that the “other” becomes someone with one set of values, one sense of purpose, and one hope. So, hopefully you will now have an idea of our uncomplicated way of life. Recollect community sharing moments of joy at Christmas.